The expected release date is Monday, February 23. 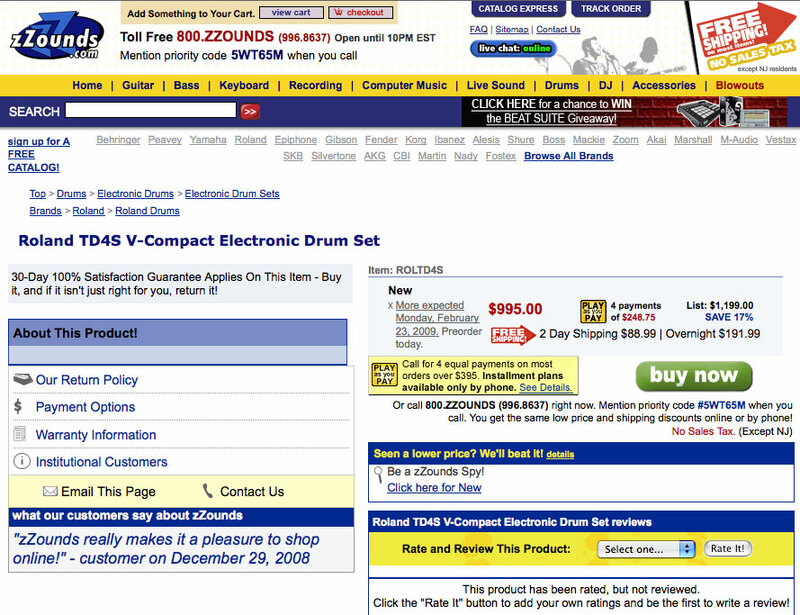 Still not 100% confirmed (at least by Roland), but there is one online music store (zZounds.com) is already taking pre-orders, though no tech data or pictures have been released of this new Roland Vdrums kit. The cost of the TD-4 module is $419.00 and the whole TD-4 kit is $995.00. I would guess that the big unveiling will happen at this weeks NAMM show. 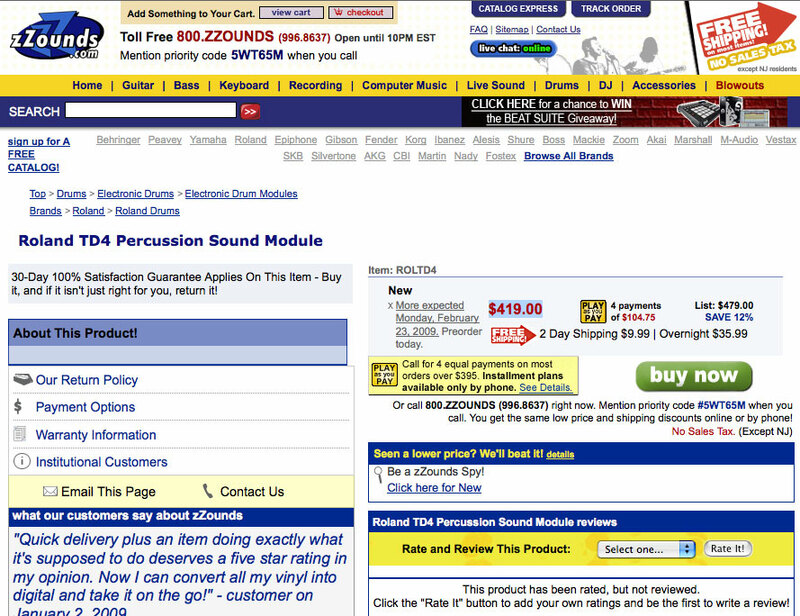 The two pictures below are screen captures of zZounds.com product pages for the TD-4. I’m posting these just in case zZounds.com is ask to take down those pages. « NAMM 2009 Show is coming!!! !